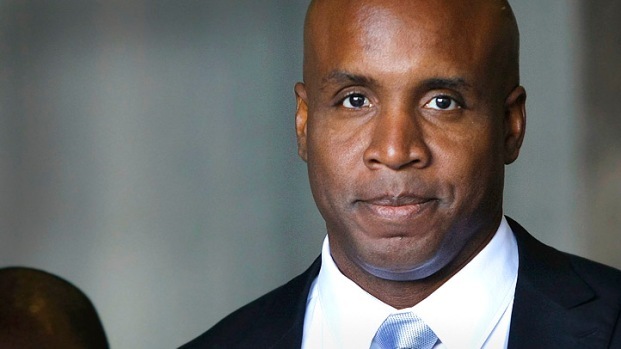 A federal jury convicted former Giants' slugger Barry Bonds of a single charge of obstruction of justice Wednesday but failed to reach a verdict on the three counts at the heart of allegations that he knowingly used steroids and human growth hormone and lied to a grand jury about it. He potentially faces a 10 year prison sentence but he would most likely be forced to some form of home confinement. Following a 12-day trial and almost four full days of deliberation, the jury of eight women and four men could reach a unanimous verdict only on one of the four counts against Bonds. U.S. District Judge Susan Illston declared a mistrial on the others, a messy end to a case that put the slugger — and baseball itself — under a cloud of suspicion for more than three years. Bonds sat stone-faced through the verdict, displaying no emotion. His legal team immediately asked that the guilty verdict be thrown out and Illston did not rule on the request. She set May 20 for a hearing in the case. The Giants issued a statement saying it would not comment on the case because it was "ongoing." The counts that the jury could not resolve accused of Bonds of lying to the grand jury investigating BALCO in 2003 when he said he never knowingly took steroids or HGH, and when he said he was never injected by anyone except his doctors. Each count Bonds was tried on carries a maximum sentence of 10 years in prison. 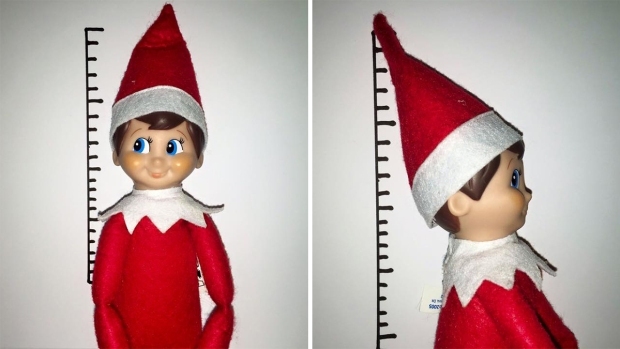 However, federal guidelines suggest a total sentence of 15 to 21 months. For similar offenses in the BALCO case, Illston sentenced cyclist Tammy Thomas to six months of home confinement and track coach Trevor Graham to one year of home confinement. Bonds walked out of the courthouse with his lawyers, who instructed him not to comment because they said the case isn't over. Impeccably dressed in suit and tie, Bonds flashed a victory sign to a few fans. "Are you celebrating tonight?" one asked. "There's nothing to celebrate," he replied. Lead defense attorney Allen Ruby said the prosecution failed to prove the heart of its case. The obstruction of justice count was a complicated charge that asked jurors to decide if Bonds was being evasive when making any one of seven statements to the grand jury. He was convicted on a single statement about his childhood as the son of major leaguer Bobby Bonds and his relationship with personal trainer Greg Anderson — it did not address performance-enhancing drugs. The government "has determined it's unlawful for Barry Bonds to tell the grand jury he's a celebrity child and to talk about his friendship with Greg Anderson," Ruby said. The foreman of the jury, who would only give his first name, Fred, said if prosecutors want to "pursue this case, they're going to have to do more homework than they did." A juror who also gave just her first name, Amber, said that the final votes were 8-4 to acquit Bonds of lying about steroids and 9-3 to acquit him on lying about HGH use. The panel voted 11-1 to convict him of getting an injection from someone other than his doctor, with one woman holding out, she said. The so-called needle count accused Bonds of lying when he said that no one other than his doctors injected him with anything. His personal shopper, Kathy Hoskins, testified that she saw Anderson inject Bonds in the navel before a roadtrip in 2002. Hoskins was not sure what substance was being injected. Amber noted that Bonds' former mistress, Kimberly Bell, testified he complained of soreness from injections. "That's what kind of stuck out for me," the juror said. The jury foreman said the woman who held out on the needle count did so because Hoskins was the only eyewitness. 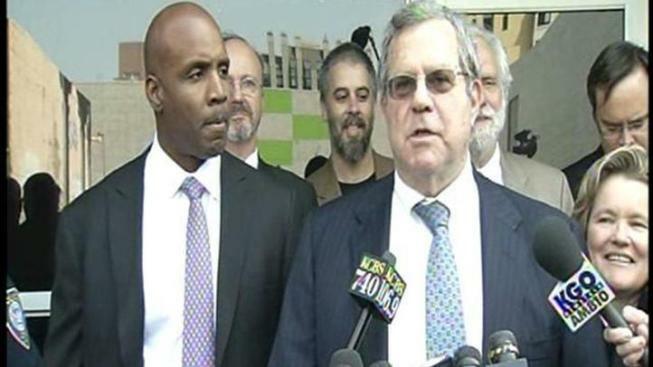 Another juror, named Steve, said that "Barry carries himself with an air of arrogance" but his legal team overcame it. "They didn't put up a big defense," he said. "They tried to discredit the witnesses. They tried to make the prosecutors look like bad guys. Were they successful in doing that? Yes." U.S. Attorney Melinda Haag said prosecutors were gratified by the guilty count and had not decided whether to seek a retrial on the remaining charges. "This case is about upholding one of the most fundamental principles in our system of justice — the obligation of every witness to provide truthful and direct testimony in judicial proceedings," Haag said in a statement. "In the United States, taking an oath and promising to testify truthfully is a serious matter. We cannot ignore those who choose instead to obstruct justice." Now 46, Bonds set baseball's career home run record with 762 while playing for the Pittsburgh Pirates and San Francisco Giants from 1986-2007. The jury met less than two miles from the ballpark where the seven-time NL MVP played for his last 15 years. Bonds was indicted on Nov. 15, 2007, exactly 50 days after taking his final big league swing and 100 after topping Hank Aaron's career home run mark of 755. He also set the season record with 73 home runs in 2001 with the Giants. Illston would not let prosecutors present evidence of three alleged positive drug tests by Bonds because Anderson refused to testify and there was no one to confirm the samples came from Bonds. Bonds acknowledged that he did take steroids but said Anderson misled him into believing they were flaxseed oil and arthritis cream. Anderson was sentenced by Illston in 2005 to three months in prison and three months in home confinement after pleading guilty to one count of money laundering and one count of steroid distribution. The trainer was jailed on March 22 for the duration of the trial after again refusing to testify against Bonds. He was released last Friday.